MILANO – We had had the pleasure to have a inspiring chat with one of the women who are actually helping the coffee industry to develop: Christina Meinl, Responsible of Innovation for the Viennese company Julius Meinl. She agreed to send some important messages to the young generation working in this sector, especially regarding women. What is like to be a woman in charge? “I was grown up with my parents telling me that there are no limits to what we can do. I think that’s what every parents must do to give to children. Whether you’re a woman or a boy, it’s the confidence that you can acheive anything. Especially I think that the time for girls has finally come. I often see many women that has a lot of different skills that men don’t have. It doesn’t mean that they’re better or worst, they’re only different. So that’s why they’re complementary. And that’s why now very much of topics of vote on board rooms of having a woman. I think that is always great to have both men and women. And also a lot of transgender talking too. The more diverse you are, the more skills you have. So, what’s your personal message to the young women that one day hope to be like you? As a woman, what do you say to the people who think that it’s impossible to manage a big company and at the same time having a family? “A good question. I’m spending a lot of time thinking on that. I don’t think that you have to choose between the two things anymore. I think that you can do both. And I think that women show everybody that we can do both. And you want the best for your children, your family, and also you can want the best to be on the top. What’s your personal touch for Julius Meinl? What’s the Julius Meinl revenue for 2018-2019? What is the coffee type that has more success in Italy and what abroad, instead? “Everywhere in the world there’s different flavours to different places. That’s the real fun and challenge. For example, the Italian taste is a full flavour, a darker roast. The cream, is what is highly successfull in Italy. And the more North you go the more it becomes lighter roast and filter. But there are also interesting countries like Romania that love light roast. And also Czech Republic and Australia. Italy now is changing. The specialty coffee and the different types of coffee are changing the Italian taste too. And that’s nice with coffee, because is a natural product. You can play with it and that’s what personally fascinates me so much. I have tasted coffees that were so light that they were like tea. And really dark from the same bean. Why Julius Meinl has two roasting facilities: one in Italy, in Vicenza, and one in Vienna? What is like to be the ambassador of Viennese coffee shops? Why do you do it? “Because we were born in the Viennese coffee house. That’s our heritage. The poetry is a part of that philosophy. It’s an ancient art, but also it’s not. The coffee houses in Europe were full and they were revolutionary. It’s there that writers, artists, all met together. And we were there with our coffee, because we were founded in 1862. And now, 2019, life has evolved and changed. A lot of people dont’ sit in the coffee houses all day. But there is a poet in you that wants to be creative. He wants to be inspired. Every book keeper, every driver, everybody has that. And we know it. So, with the initiative Pay with a Poem, we have fun to see people going in, buying a coffee and putting on your own: that’s much easier trying to make a poem. We challenged people to stop and to look at the beauty of life. And that’s the only thing we want them to do: to look around and to leave the smartphones. You represent the fifth generation of the company: what has changed over the years? “Of course, the company has changed. Because the world has too. That’s what I think that’s important for me: it’s essential to stay fexible and to adapt. Above all, to stay relevant. And today I think that specialty is the key to be relevant. Which aspect do you think has improved in the company? “Lot of things. It has become more flexible. We allow more flexibility with people working. For example, what I like in Vicenza is an aggregate that takes the heat generated by the roasting and uses it to heat the offices building. I think we are going towards sustainability. 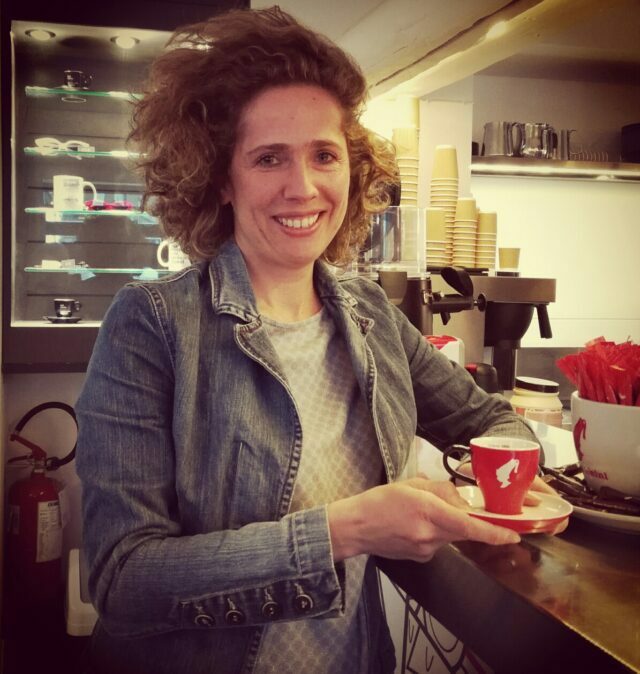 What about the future of Julius Meinl?